Based in the UK and established in 1995 – Anchor Systems is a global leader in the supply of Earth Anchoring Products and Solutions to all sectors of civil engineering, horticultural and domestic markets. Anchor Systems specialises in the supply of Earth Anchoring Systems, Earth Foundation Systems and specialist civil engineering products and solutions to the global market. 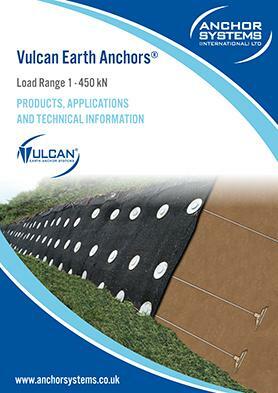 Our Vulcan range of earth anchors is the largest worldwide and is largely used for retaining walls, slope stabilisation and tethering down temporary structures and trees. Our patented Anchor Post is one of the most versatile lightweight solutions that replaces a traditional concrete foundation and has been used for a wide range of applications including signage, lighting & signal columns and foundation systems for lightweight buildings including sheds and contemporary garden rooms. We are based in the South East of England and offer our full range of products and services nationally as well as internationally. We provide a first-class service and support! This starts at the enquiry stage, where we make sure we fully understand your requirements and the way you like to work. We then, if required, guide you through the design and ordering process making sure every detail is well communicated right the way through to delivery. We don’t leave it there! 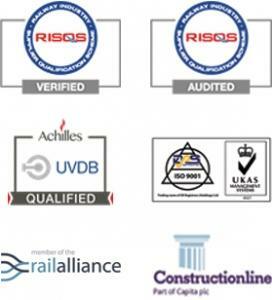 We go on to offer full support, training and site supervision and won’t rest until we know that you are completely satisfied with the products we have supplied and the service we have provided you. We can also supply you with bespoke designed products and solutions that are unique for you. Anchor Systems was founded in 1995 by Ewan Smith who remained the Managing Director up to his retirement in 2016. Ewan established the most versatile and largest range of Earth Anchors globally and was the inventor of the patented Anchor Post. The Anchor Post was established for the UK Rail market in 2007, to which 30,000+ units have been supplied to London Underground to date. Hadley Smith; Ewan’s son, along with Koshe Patel, an established engineer, took over the business from Ewan in 2016 and have gone onto make significant improvements and investments for the business including additions to the team, better facilities and improved processes overall.